Gorgeous Buckroe Beach located on the pictureresque shores and gentle surf of the Cheapeake Bay. 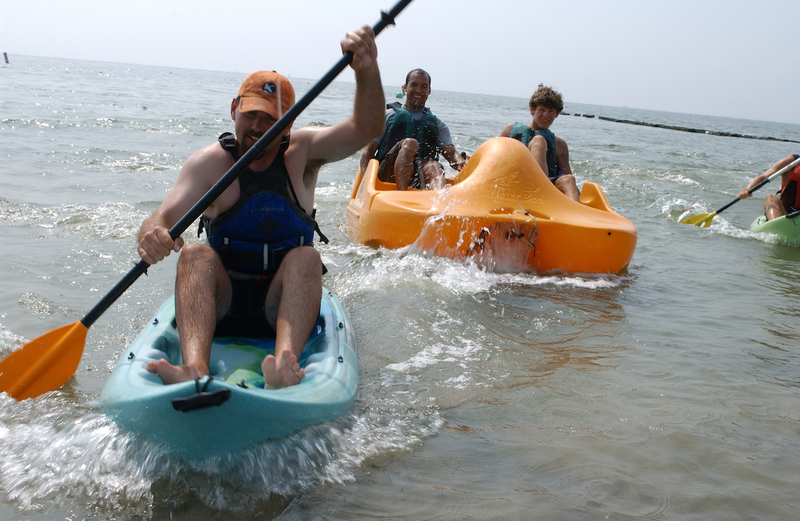 Skip the long lines at the Hampton Roads Bridge Tunnel and come to Buckroe Beach for a good time of sun and fun. Free Admission. Free Parking. Love the beach but not the traffic and hassle of going through the tunnel to get there, discover Buckroe Beach! Our incredible ¾ mile beach offers a panoramic view of the Chesapeake Bay! Sink your toes into our clean sandy beach, enjoy our sparkling water and gentle surf and watch ocean going ships prepare to arrive at their ports of call. 2018 will be the most active and exciting summer ever experienced at Buckroe Beach! The season kicks off on Memorial Day and runs through Labor Day, the beach is opened daily from 10 a.m. to 6 p.m. with lifeguards on staff during those hours. Free parking, shuttle service, & a very friendly beach staff, make this a “must do” visit this summer!